Any way you slice it (pun intended), home made cheese is simply the best. It takes cheese to a whole new level. There are lots of mozzarella cheese recipes out there, but this one favors the traditional method. You can use fresh raw milk (cow or goat), or you can use pasteurized milk, as long as it’s of high quality. This method does take more time than recipes that use the microwave to speed things up, yet there are many wait period where you easily can do other things. 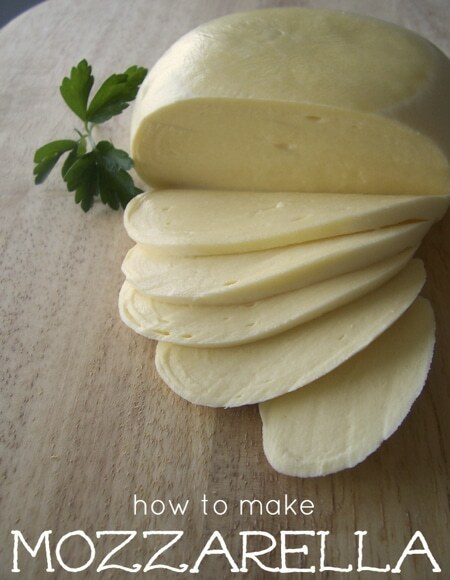 You might like the idea a making a couple of batches of this mozzarella; the author says it freezes quite well.